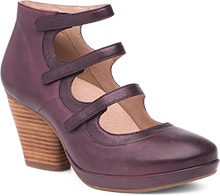 The Dansko Wine Burnished Nappa from the Fawna collection. The Fayette carries the Seal of Acceptance from the APMA (American Podiatric Medical Association). 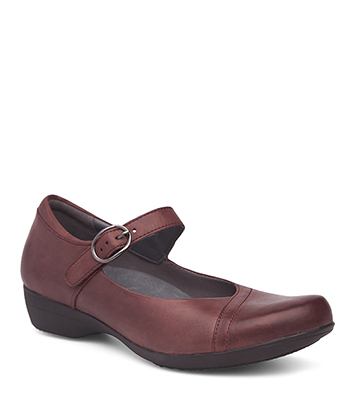 The APMA Seal of Acceptance is awarded to shoes that promote good foot health and is independent proof that Dansko shoes are made with your comfort and long-term wellbeing in mind.